Numbers! Numbers! Numbers! Wherever you go, you are bound to see them. On addresses, license plates, phones, prices, and of course, money! Numbers connect us all to each other in many more ways than we might imagine. Essentially, our world revolves around numbers. Some of us enjoy dealing with numbers while others may have a fear of them, or even a phobia. For those of you who have already recognized and appreciate the impact that numbers have on just about everything, you deserve a cookie. Welcome to Basic Bookkeeping. Identify the differences between the cash and accrual accounting methods. Keep track of your business by becoming familiar with accounts payable and accounts receivable. Use a journal and general ledger to document business financials. Identify different types of financial statements. Uncover the reasons for and actually create a budget. Be familiar with internal and external auditing. What’s covered in this course? When and Why Would You Audit? Why choose our online training courses? All our e-learning courses can be accessed on any electronic/computerised device. Study anywhere, in your own time and at your own pace! 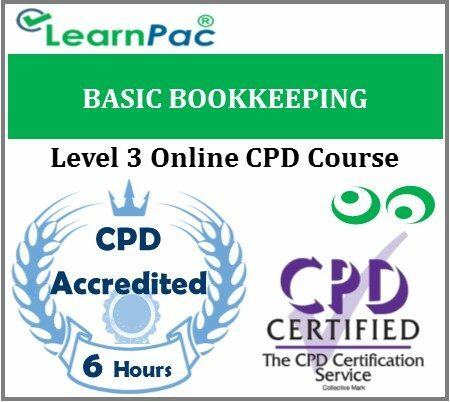 The content of this online training course has been independently certified as conforming to universally accepted Continuous Professional Development (CPD) guidelines. You can also browse our full e-learning course catalogue or leadership and management courses and programs to find out more about our wide range of training courses and qualifications. Alternatively, contact our Support Team on 02476 100090 or via Email, stating your specific e-learning requirements.